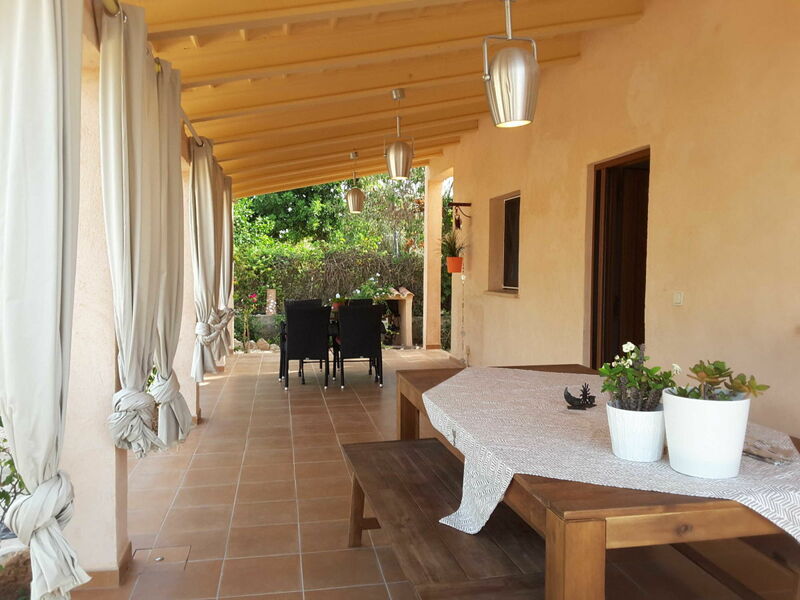 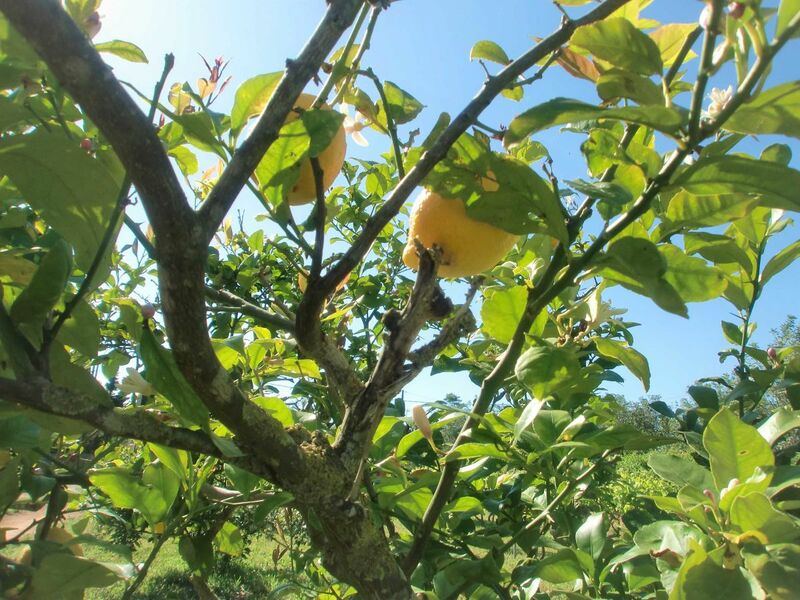 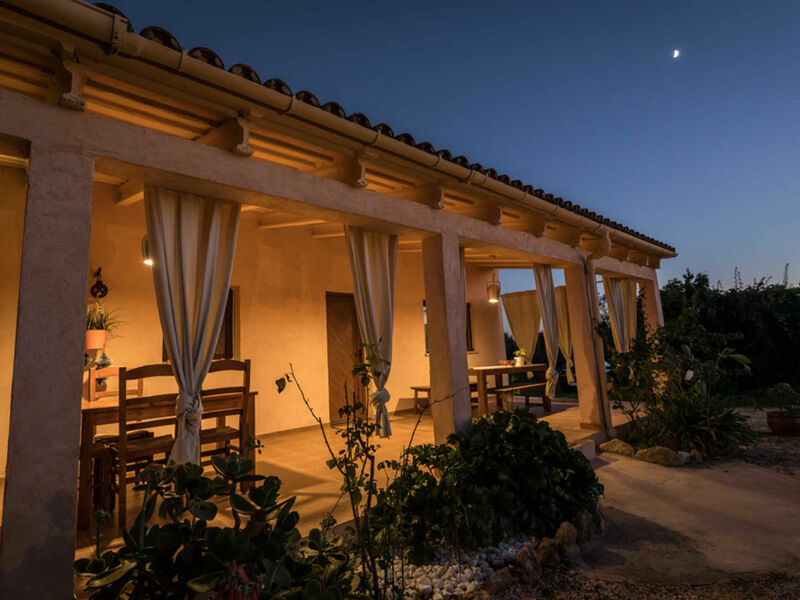 Enjoy the tranquility of the beautiful surroundings with your own spacious garden, lemon trees and vine! 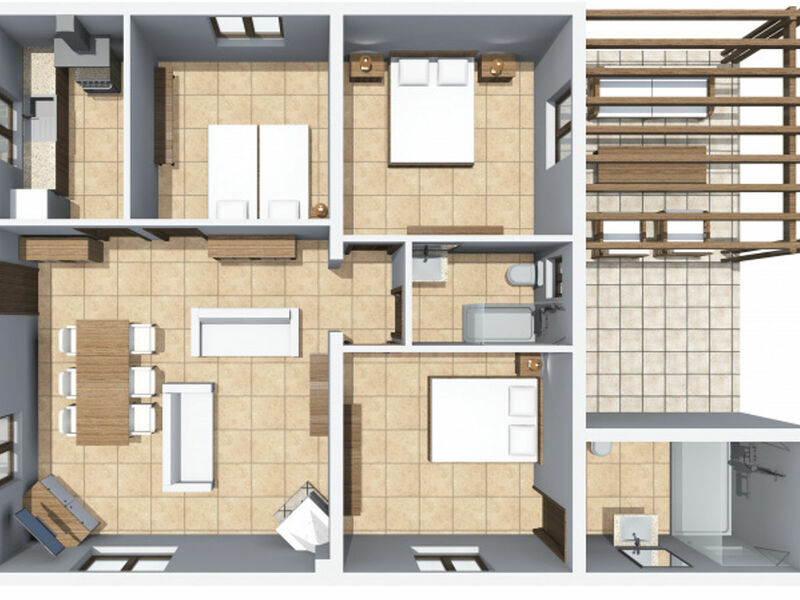 On about 84 m2 is enough space for up to 6 persons. 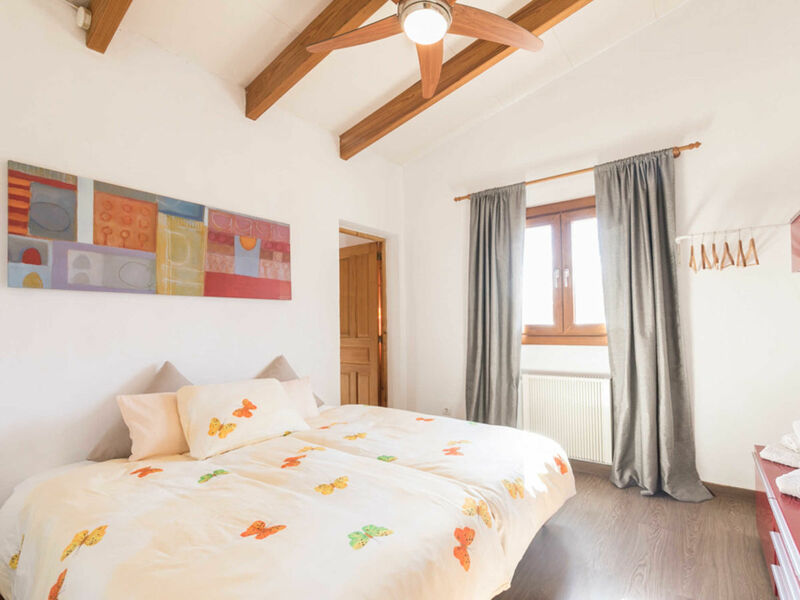 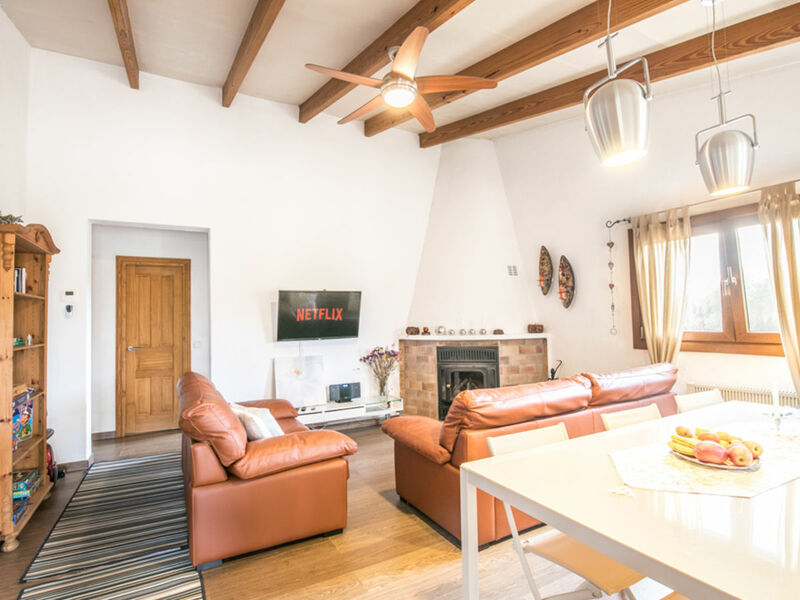 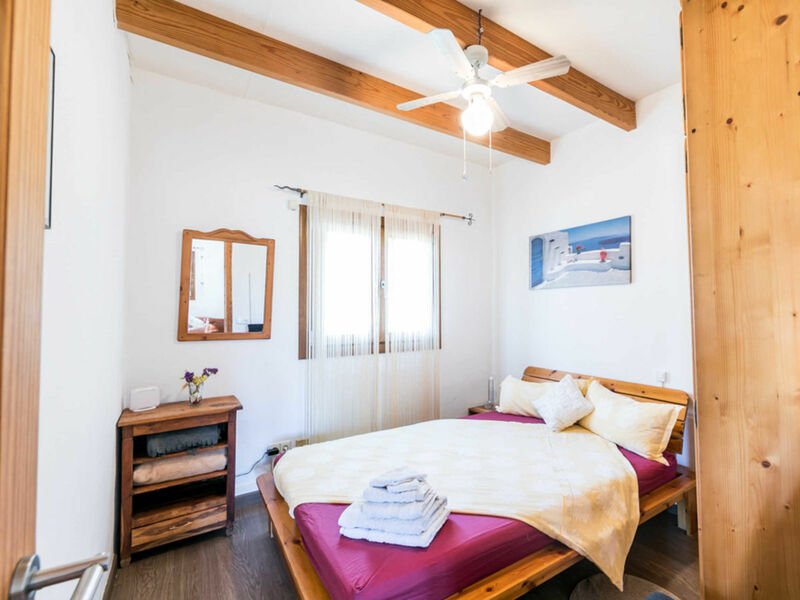 The house was completely renovated in June 2017 to offer his comfortable atmosphere to vacations guests. 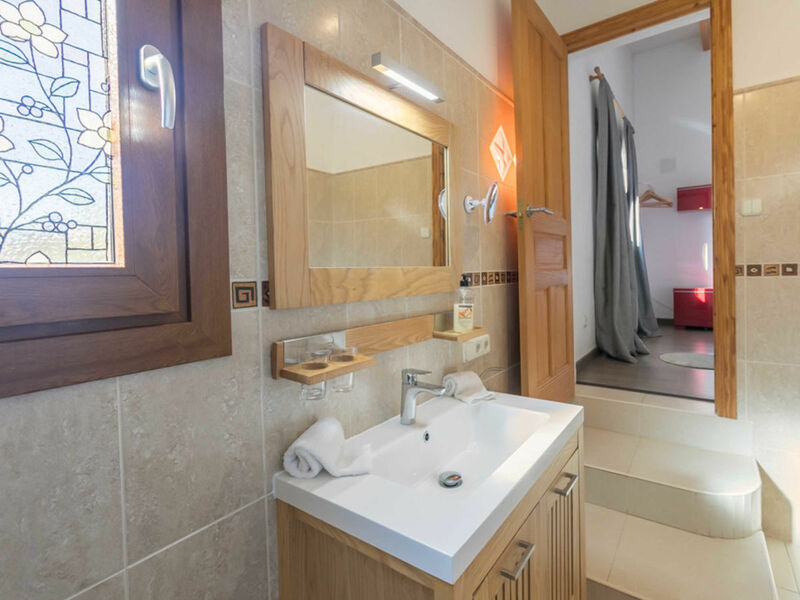 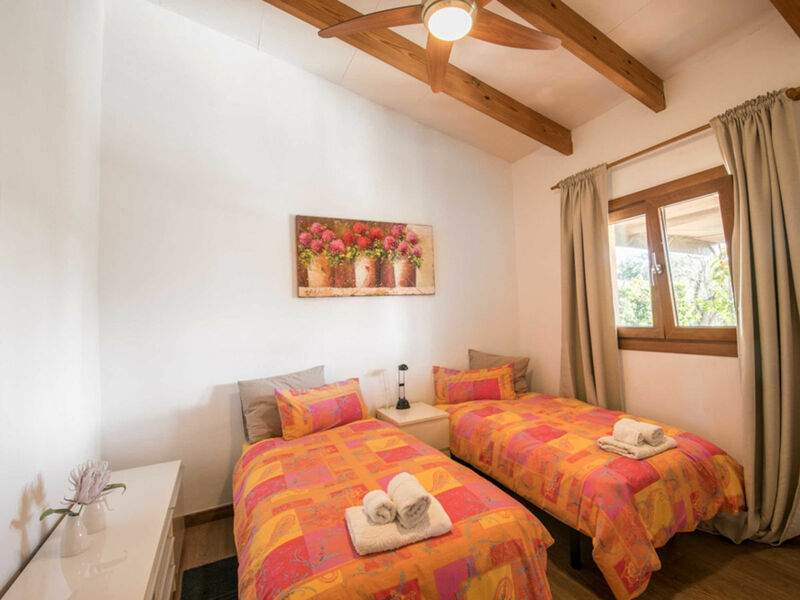 Two dormitories with twin beds (each 80x 200 cm) and two bathrooms (one of them en suite) as well as third dormitory with a doublebed (135 x 190 cm) offer to you a nice relaxing atmosphere. 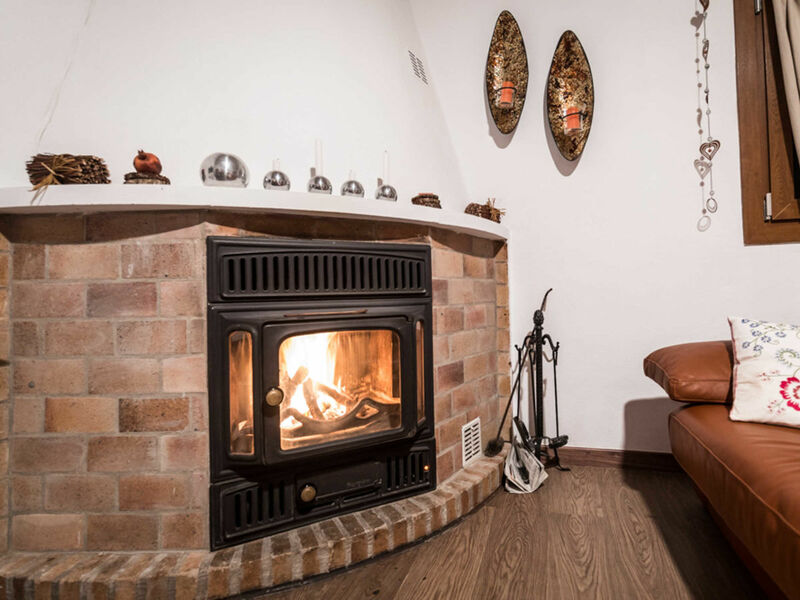 Enjoy your evenings in the cosy living and dining room with its fireplace. 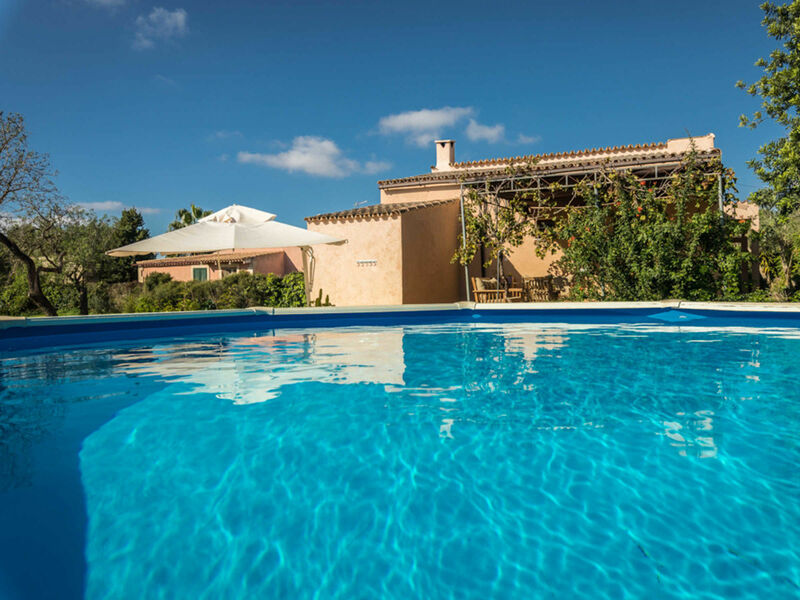 Find your personal recreation area on various external terraces around the house, the nice little pool and the spacious garden area. 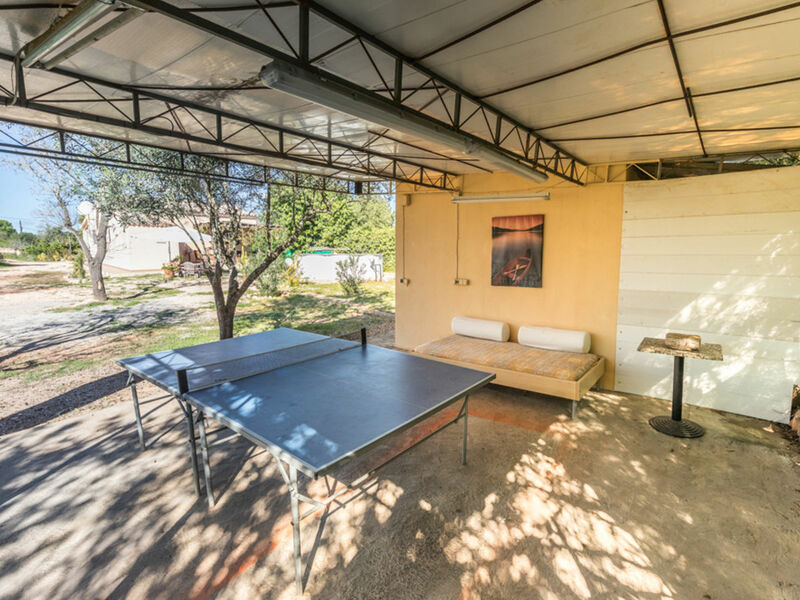 A paradise for children is created on this area with own footballfield, basketball hoop and table tennis. 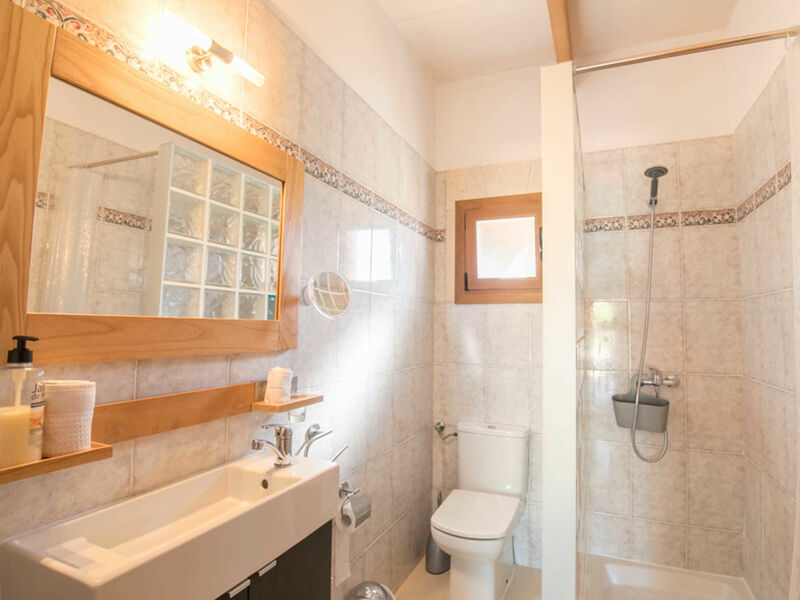 A separate building is well equipped with washing machine and dryer. 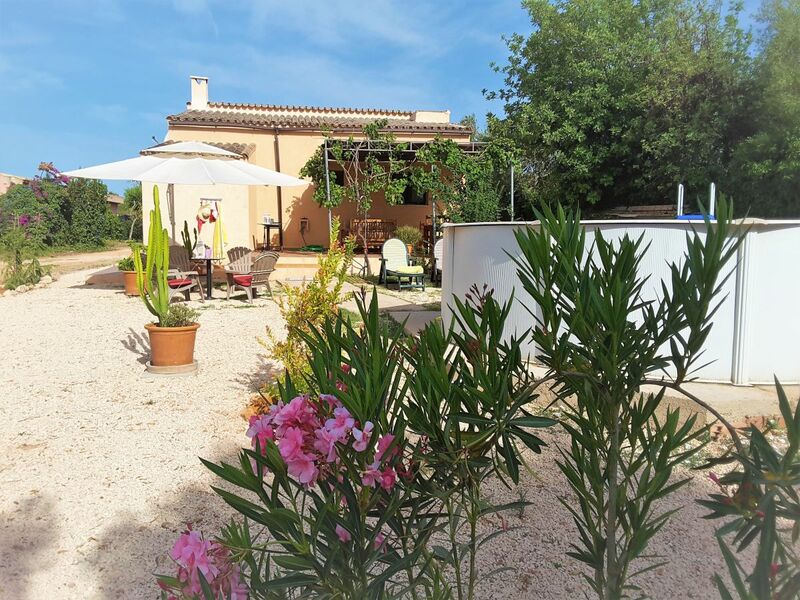 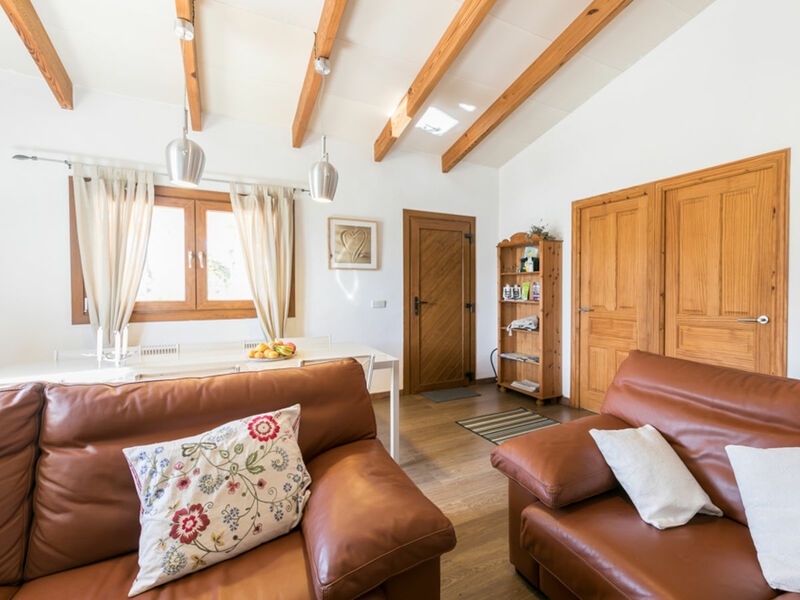 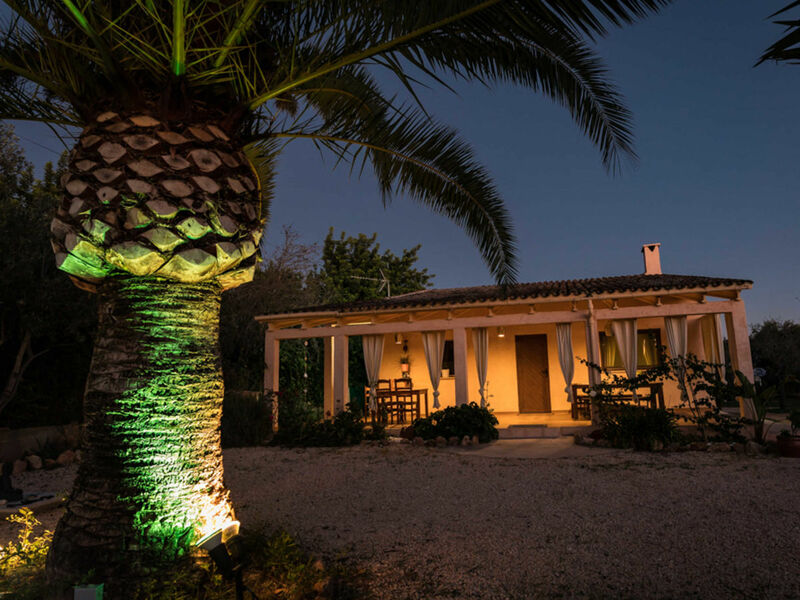 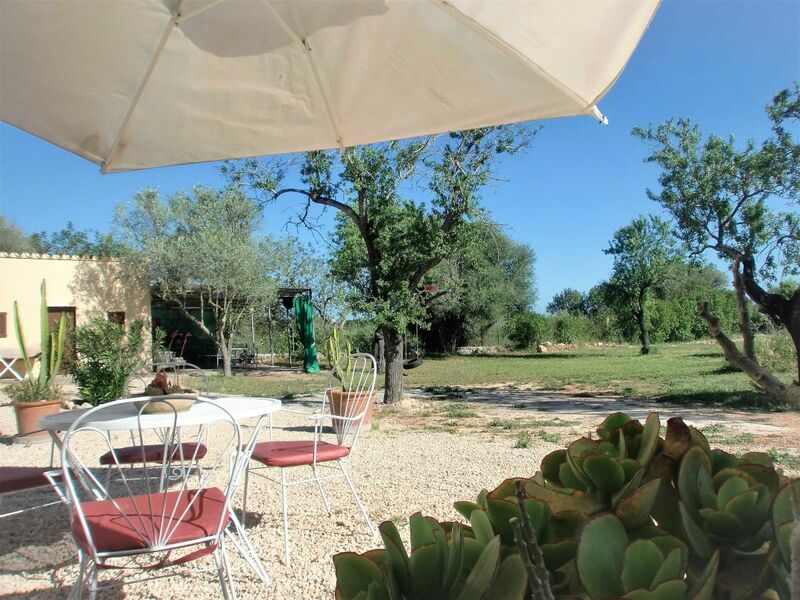 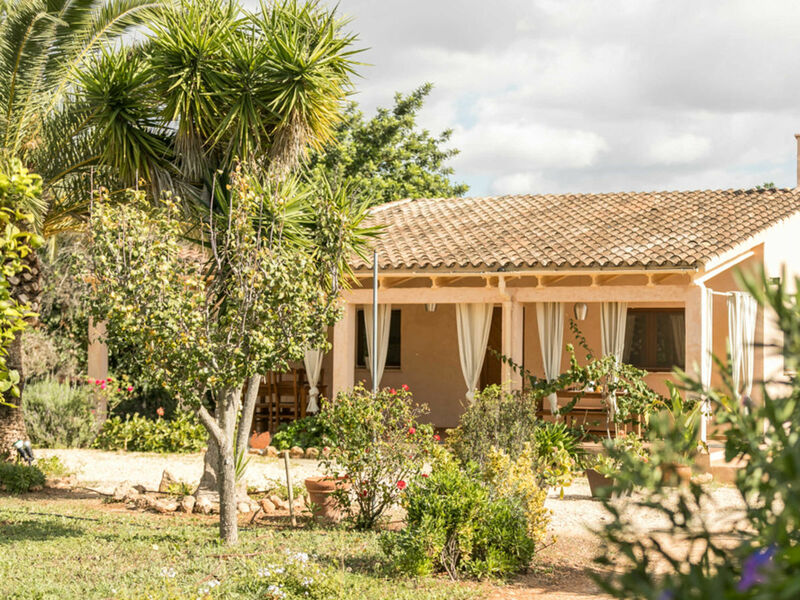 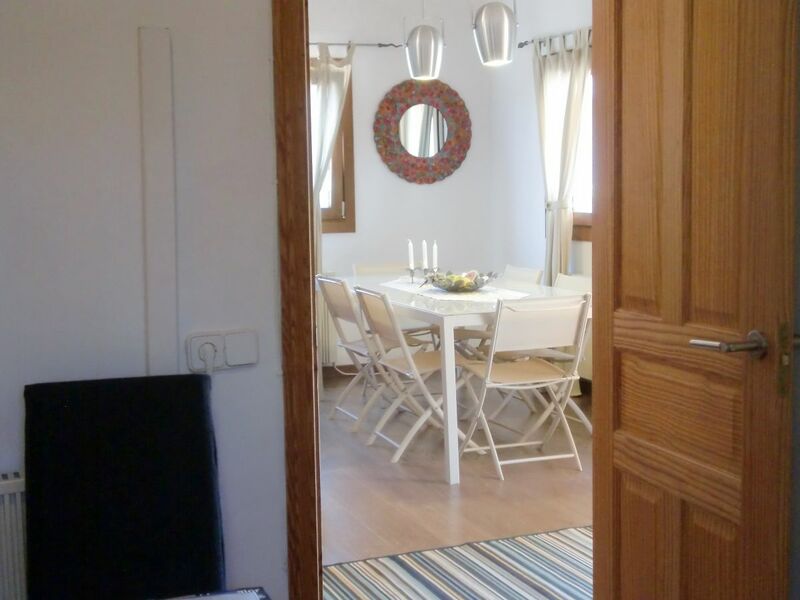 Enjoy relaxing holidays with the whole family in this nice idyllic finca! 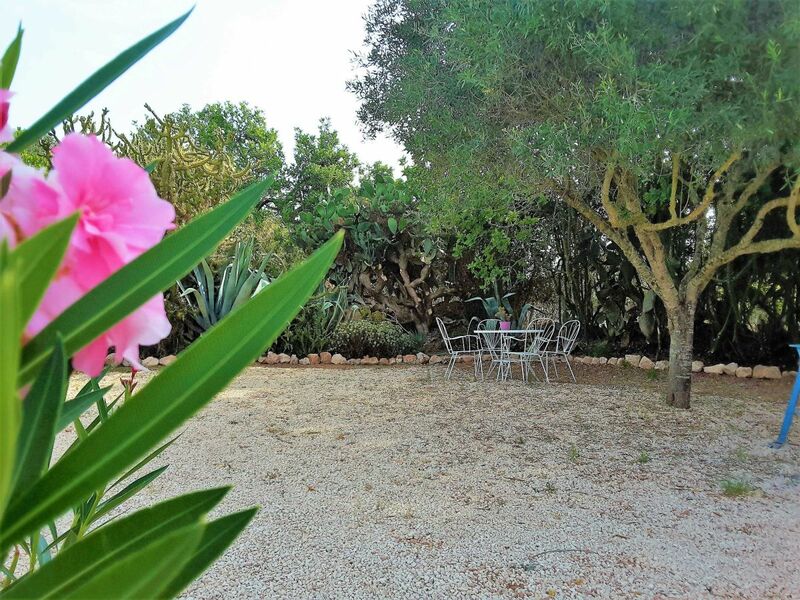 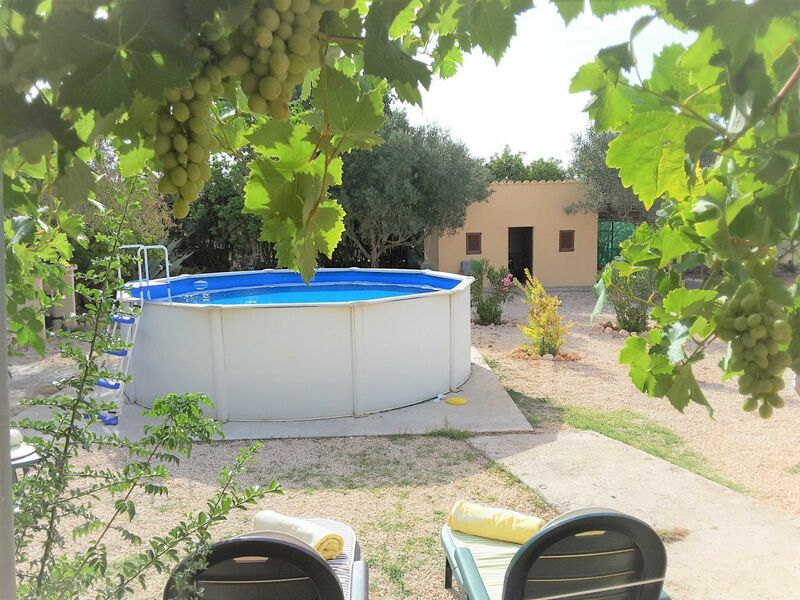 familyfriendly finca with pool and big garden, soccer field, various leisure activities, WLAN, holiday with pet is possible. 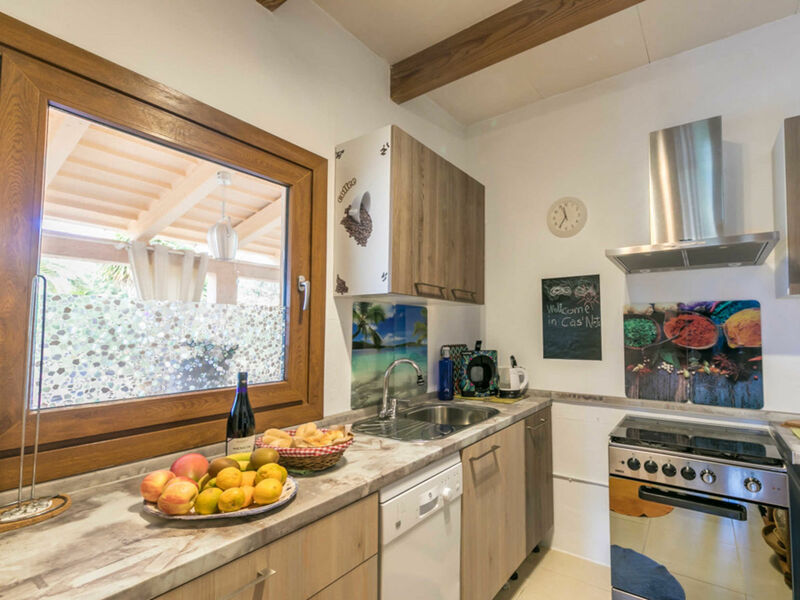 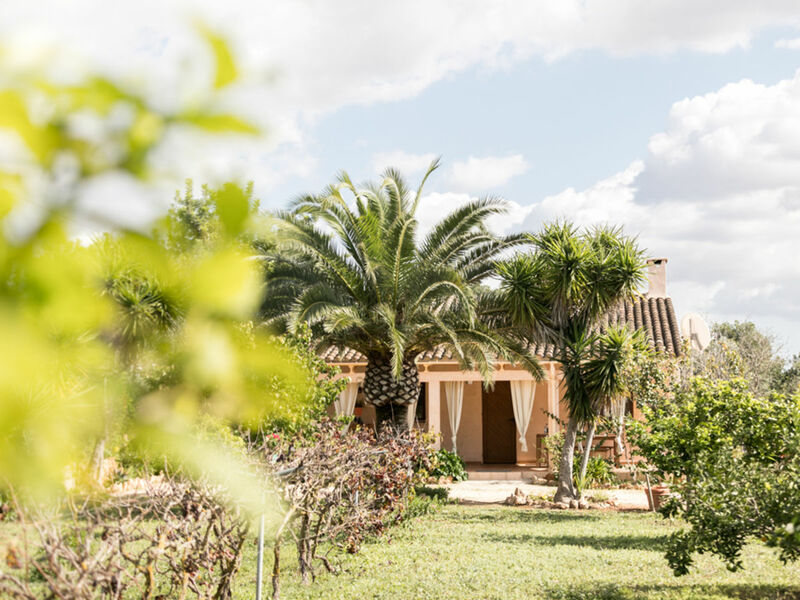 About 5 km away from LLucmajor you will experience the relaxed way of mallorquin life with nice little cafés, restaurants and shops as well as an attractive weekly market. 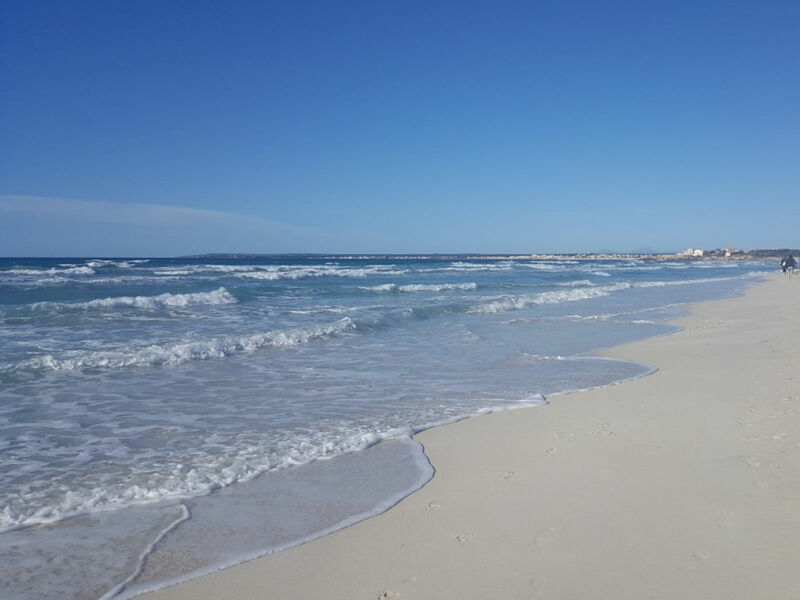 The next beach is beautiful Sa Rapita/Es Trenc with its shallow sandy beach is about 15 minutes away. 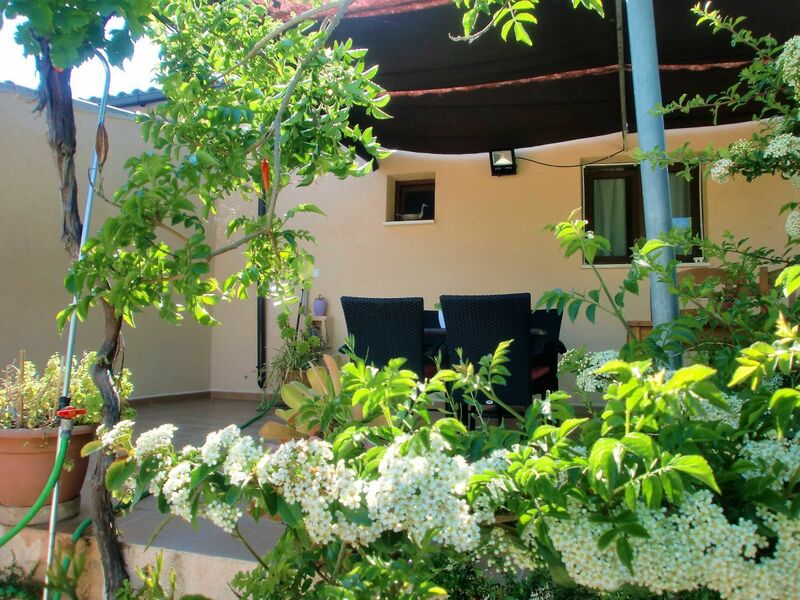 After booking we will send you a route map and more informations around your vacation home. 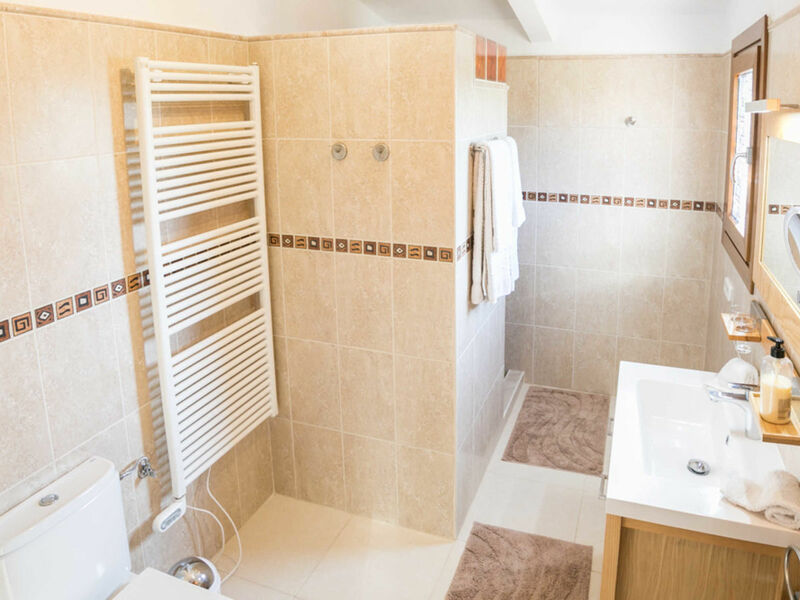 Bitte entnehmen Sie die Stornobedingungen unserer Homepage www.trauminselferien.com unter "Mietbedingungen". 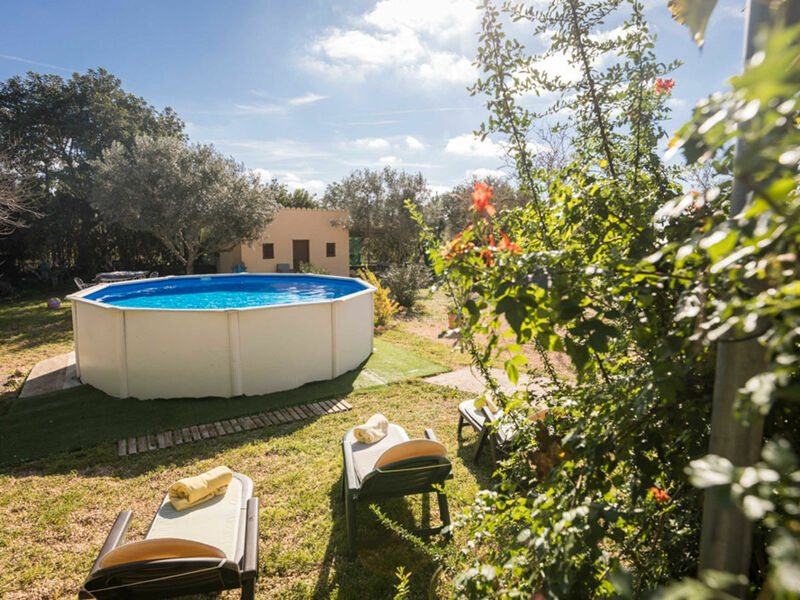 Between December-March the finca can be booked for 1700 €/Month, all inclusive. 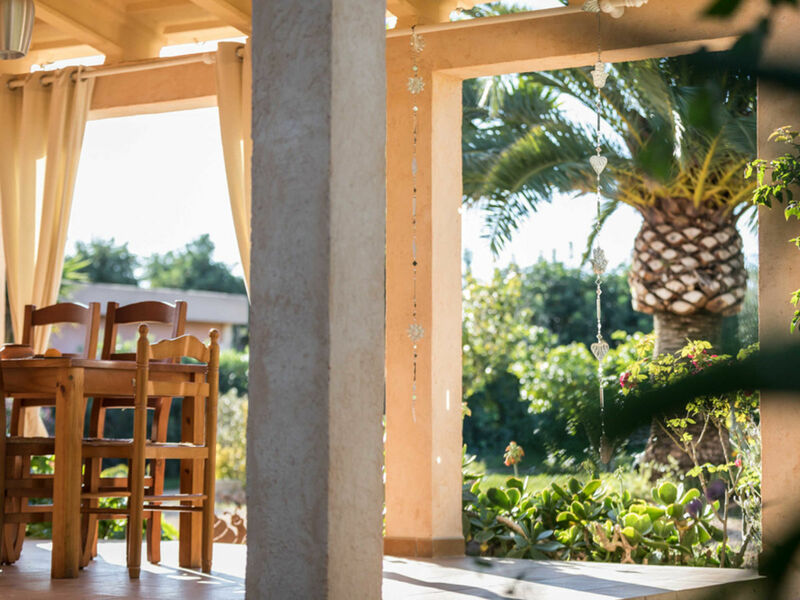 With our experience we are pleased to answer all your questions around your vacation home.